Snow White, Robin Hood and Dr. Jekyll must fix the Torn Tales of folklore..
With Discord’s 3rd anniversary just last month. It’s already hard to imagine teaming up with mates, finding new friends or even keeping up with your favorite creators without the chat app. We knew from the start that Torn Tales would need to have its own Discord Server. As an easy place to share feedback, suggestions and strategies; it’s the perfect way to listen closely to what our players want. Player can fight enemies in all 5 regions of the main Torn Tales game. 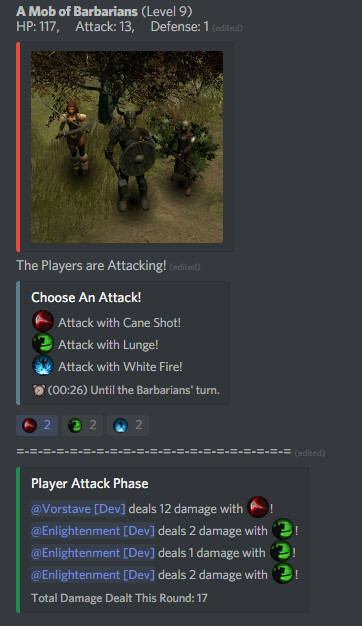 We’ve constructed a co-operative online RPG, entirely inside Discord! Players can battle enemies, complete quests, level up, gain loot and explore the realms of Torn Tales just by joining the TT Discord server. To join the fight, simply react with one of the special ability reacts in the combat channel, but beware… the enemies will fight back, you’ll just have to hope the other players are kind enough to defend you. Players vote on the direction they wish to travel in the exploration channel! 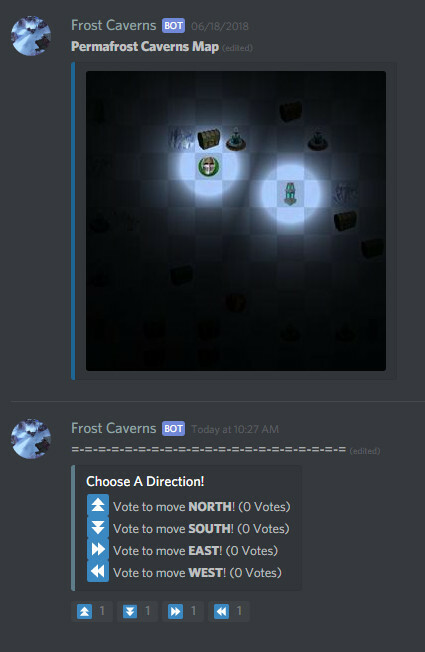 In the exploration channel players can vote to move the party North, South, East or West. Exploration is a great place to gain loot, experience and even regain some of the health you lost in combat.. but beware.. it is said that each region is home to a being that has dedicated his life to the fine art of annoyance. You must work together with your allies to track it down and enact sweet revenge. He won’t be caught easily though..
There’s loads more to find including an Auction House where players can buy and sell items to each other and an Inn where players can request torn tales from the Inn Keeper. You can even play Dice with Death. Defeat Death in a twisted dice game to gain favor and receive special rewards. So what are you waiting for!? Come and Try It for yourself!